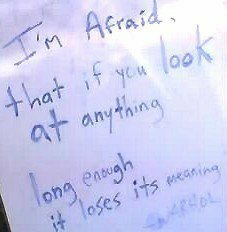 The more I see, the less I can see. Andy Warhol made the shallow end deep. 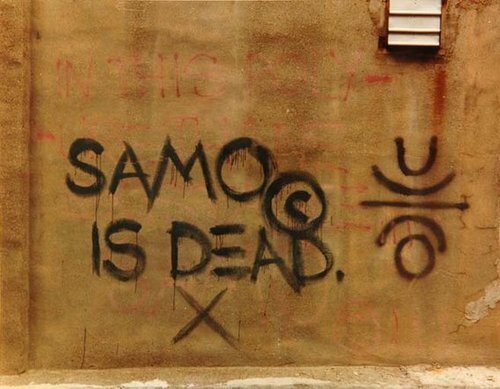 Basquiat stoked the street...until he died. “Art is never finished, only abandoned.” A big reason I love Art Battle is that you can see colors live in progress and the event forces you to abandon Art sooner. A snapshot of Art in progress is Art itself. 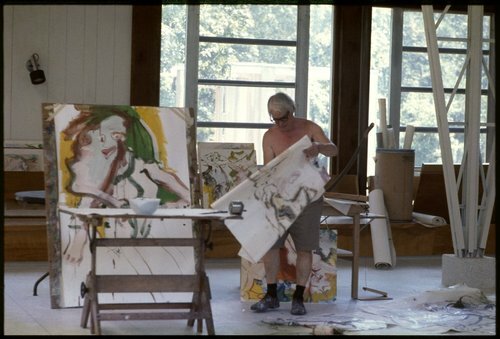 Top: Willem DeKooning in progress at East Hampton (1968) photographed by Linda McCartney. 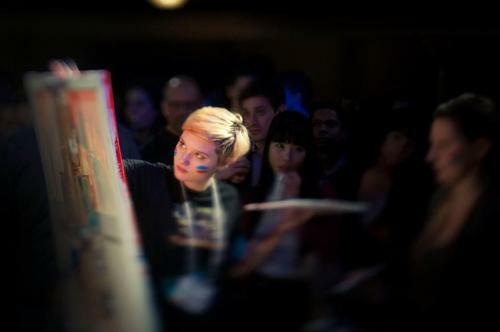 Bottom: Morgan Booth in progress ( Feb 29, 2012) at Art Battle in Toronto's Great Hall photographed by Eric Forsyth. 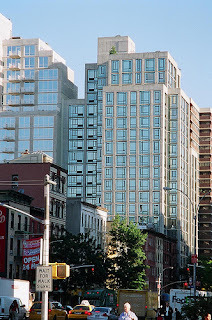 345 East 56 Street, New York, is where he painted Broadway Boogie-Woogie. 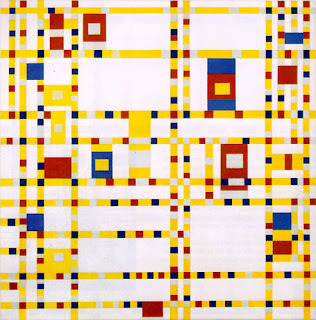 Art transfers into other Art. These are screen captures of thoughts in my head riffing as I chronicle other Art. No editing to make it flow. "Good artists copy, great Artists steal" your mind, heart and soul.